Advanced Imaging Concepts - Digital Imaging Software for medical, scientific, and microscopy applications. AIC has been Masterminding Innovative Microscopy Solutions for over 25 years. The modern light microscope is one of your biggest capital investments, and may be your most important research tool. The focus of our business has been centered on delivering high-end microscopy and digital imaging solutions to the life science and industrial markets. We supply complete systems through separate components; with an emphasis on recycling your existing equipment. Upgrade your existing microscopes with the latest Digital Imaging Products. Adding sophisticated software and hardware packages are economical methods that stretch equipment dollars. AIC offers expertise in all brands of microscopes and can provide complete refurbished microscope systems for both industrial and life science applications. AIC can save many thousands of dollars by retrofitting your microscopes to meet today's challenges in the laboratory and meet specific budget requirements. This is a unique position in the Scientific Imaging Industry that AIC has worked at since 1989. It is essential to the productivity of your organization, and to the degree of confidence with which your work is received by the industrial, medical, and research communities, that the personnel who work with the microscope are fully aware of the potential of the instrument and that the microscope is maintained in optimum condition to produce its best results and be able to remain in that condition for an extended lifetime. It is far more economical to have AIC maintain, enhance and upgrade your existing equipment than to replace it. The salesperson from the major microscope companies will always state that a NEW system is required (remember they have quotas to meet and are in business ONLY to sell NEW microscopes). Whether supplying complementary components and integrating your existing imaging and microscope equipment into a new digital Imaging workstation, adding confocal or deconvolution capabilities, or providing turnkey confocal systems, AIC can customize a solution to fit your requirements. Please contact AIC for a discussion of your application requirements and we can show you how to take your microscopy to the next level. Below are some of the products that can be implemented to advance your lab to the next level. 89 North - The PhotoFluor II High Power Metal Halide Fluorescence Light Source combines a powerful metal halide lamp with a sputtered heat-blocking optic to deliver excellent light output across the spectrum. The PhotoFluor II provides high output from 340 nm to 650 nm with enough power in the UV for strong DAPI or Hoechst imaging. It combines a powerful light engine with quiet operation and no vibration. The nature of the metal halide source eliminates the need for alignment and ensures long lamp life (in excess of 1500 hours). A DC power supply stabilizes lamp output over time for minimal fluctuation during time-sensitive experiments. Utilizing a 200w lamp and a 5mm core Liquid Light Guide the Photfluor II provides superior performance unmatched in the industry. With a 6 position motorized filter wheel and shutter system that can be PC computer controlled. The system can utilize either a 5mm core LLG or 3mm core LLG in either 1.5m or 2m lengths. Microscope adapters available for most systems please contact AIC for further information. AIC-SteroMicroscope Stand - UTC7000 - The Universal Transmitted Cold Light Stereo Microscope Stand UTC7000 is a leap forward for life science stereo microscopes, the ergonomically designed base creates an environment that provides a truly relaxing experience allowing the researcher to focus on the sorting work at hand with no worries about the stage warming creating a detrimental environment for subjects. The high precision tilting and translating mirror provides superior illumination to simple transmitted light bases offered. The stand is compatible with most stereo microscopes from Zeiss, Leica, Nikon and Olympus. AIC-Student Cordless Microscope - LED158 - The LED158 is a rechargeable cordless LED binocular high power microscope with precision optics, highly engineered mechanics and very rugged construction. Objective turret (nosepiece) is in reverse position to permit easier changing and positioning of specimen slides. College grade objective lenses, 4x, 10x, 40x, 100x. Cordless LED illumination system provides optimum image brightness, completely heat free. Precision mechanical X-Y stage 100,000-hour rated LED life. AIC - MT10041 - The three or four person microscope viewing table -- also used for two people for side by side viewing -- is 65" long x 32" wide x 29" high avialable with or with out heavy duty ball bearing casters with brakes. Also available as a hydraulic model for height adjustment. Available in various standard sizes to accommodate your microscopy needs. The maximum width of our standard table is 32 inches, nearly the maximum width still capable of fitting through a standard door frame. They feature a comfort contoured work area with our exclusive highly durable edge treatment. Sturdily built for a lifetime… using modern materials; featuring stain resistant laminate work surface and a powder coated steel frame made from 1.5 inch, 14 gauge steel tubing. Please contact AIC for further information. AIC - MT10061 - The six station microscope viewing table is 62" long x 27" wide x 29" high available with or with out heavy duty ball bearing casters with brakes. Also available as a hydraulic model for height adjustment. Available in various standard sizes to accommodate your microscopy needs. The maximum width of our standard table is 32 inches, nearly the maximum width still capable of fitting through a standard door frame. They feature a comfort contoured work area with our exclusive highly durable edge treatment. Sturdily built for a lifetime… using modern materials; featuring stain resistant laminate work surface and a powder coated steel frame made from 1.5 inch, 14 gauge steel tubing. Please contact AIC for further information. Chroma Technology Corporation - The Employee-owned Chroma Technology Corp specializes in the design and manufacture of optical filters and coatings for applications that require extreme precision in color separation, optical quality, and signal purity: low-light-level fluorescence microscopy and cytometry spectrographic imaging in optical astronomy laser-based instrumentation Raman spectroscopy. Chroma Filters are used almost exclusively by the four major microscope manufactures. The quality of their product and dedication to knowledgeable microscopy sets Chroma Technology apart as the premier filter manufacture in the world when it comes to fluorescent filter sets. For further information about fluorescence microscopy CLICK HERE for an impressive handbook assembled by Chroma Technology. EXFO/LUMEN DYNAMICS - The X-Cite® 120Q system is ideally suited for fluorescence microscopy applications because it provides excellent image quality, lower operating costs and improved productivity. It uses a 120-watt lamp to deliver rich spectral excitation with a more uniform field of view than conventional fluorescence illumination systems. The proprietary Intelli-Lamp® technology helps to provide more than 2,000 hours of life. The lamp is pre-aligned so changing it is a simple, one-step process. The optional adjustable iris allows the user to set light intensity to 100%, 50%, 25%, 12% or 0%. In addition the Intelli-Lamp® system's proprietary design continually monitors lamp temperature, preventing life-shortening restrikes until the lamp cools to a "safe-to-restart" state. The design also helps to ensure that the X-Cite® 120Q operates at a consistent intensity - both over time and from lamp to lamp - for reliable and repeatable results. Finally, working with the liquid light guide, the 120W Metal Halide lamp provides rich spectral excitation and produces a totally uniform field of view, and ensures that no heat is transferred to the specimen. To maximizelife of your LLG please follow the NEW Guidlines for LLG USE. Updated Product Selection Guide now available. EXFO/LUMEN DYNAMICS - The X-Cite® 120Q_PC system is ideally suited for automated fluorescence microscopy applications because the RS232 Communication PC control of lamp, iris and shutter integrates well in automated systems. The Software Interface is simple to use. The powerful 120W Metal Halide lamp used in the X-Cite® 120 PC provides excitation intensity better than conventional mercury arc lamps, with an added benefit: the broader spectrum excites more fluororphores. The proprietary Intelli-Lamp® technology helps to provide more than 2,000 hours of life. The lamp is pre-aligned so changing it is a simple, one-step process. The built in shutter (200ms response time) and optional Foot Pedal for Hands free operation provide fast and efficient workflow. The X-Cite® 120 PC is CE Marked Ready for use worldwide. In addition the Intelli-Lamp® system's proprietary design continually monitors lamp temperature, preventing life-shortening restrikes until the lamp cools to a "safe-to-restart" state. This design also helps to ensure that the X-Cite® 120 operates at a consistent intensity - both over time and from lamp to lamp - for reliable and repeatable results. Finally, working with the liquid light guide, the 120W Metal Halide lamp provides rich spectral excitation and produces a totally uniform field of view, and ensures that no heat is transferred to the specimen. To maximizelife of your LLG please follow the NEW Guidlines for LLG USE. Updated Product Selection Guide now available. EXFO/LUMEN DYNAMICS - The X-Cite® Exacte system The Revolutionary New Light Source for Fluorescence Illumination - The X-Cite® exacte employs a 200w DC-powered mercury lamp coupled with patented Closed-Loop Feedback technology to provide ultra-stable illumination, for imaging protocols lasting from milliseconds to days. With the optional X-Cite® Radiometer, light output can also be calibrated in absolute power units (watts), ensuring truly repeatable experiments. The X-Cite® exacte is designed for demanding imaging applications such as live cell, high speed and quantitative imaging, all of which require illumination stability and precise repeatability. A Technical Specification Sheet is now avaiable along with an FAQ to explain the technical benefits of the Exacte System. Controlling illumination variability allows researchers to significantly improve productivity by reducing or even eliminating time-consuming image processing steps to normalize data. With the X-Cite® exacte's high-speed internal shutter, intensity adjustment in increments as small as 1%, computer programmability and a graphical user interface that records real-time stability data, EXFO once again sets a new standard for fluorescence illuminators. To maximizelife of your LLG please follow the NEW Guidlines for LLG USE. Updated Product Selection Guide now available. Ludl Motorized microscope components - The BioPrecision2 BioPrecision stages are designed for demanding applications where speed, repeatability and accuracy are required. These stages utilize precision ground crossed roller bearing guideways, recirculating ball leadscrews, and precision motors. All components used in these stages are machined with state of the art CNC equipment to resulting in the highest stage performance. All stage components are black anodized for durability and long lasting appearance. A full compliment of specimen holder inserts are available almost any application including single slides, double slides and petri dishes. Custom holders are available. Lumencor Light Engines - The SOLA-SM II light engine™ is a high performance illumination source that’s a bright, mercury-free, solid state lamp as an alternative the traditional mercury-containing arc lamps: the SOLA SM II light engine. All SOLA light engine models produce continuous white light from 380 to 680 nm. They are suitable for imaging all the most common fluorophores and fluorescent proteins. The SOLA SM II model is designed to operate via simple manual on/off control or with the aid of a foot pedal. Both SOLAs offer unprecedented access to solid state illumination at a price comparable to most metal halide light sources used in a host of life science equipment including fluorescence microscopes. While SOLA is very simple to operate, be assured it is also very powerful. Expect several watts of visible light pumped through the light guide, giving ample intensity for even the most demanding microscope applications. Lumencor preserves performance with the SOLAs relative to the SPECTRA light engine predecessors in the form of powerful, cool, stable, robust, UV- and IR-free light. The SOLA light engine enables microscopists simple integration with existing filter cubes and hardware configurations. Power exceeds most spectral bands of the arc lamps. Cost of ownership is reduced relative to lamps because of long life time, no bulb or light guide replacements and energy efficient operation. The output spectral range is targeted for the VISIBLE spectrum, no deeper UV or IR is produced. Customers will never again have to worry about arc lamp alignment, installation and replacement. The expected lifetime of the SOLA light engines is greater than 20,000 hours. Essentially no warm-up time and superior stability mean these are all usable hours with highly reproducible output power. Units ship with a warranty covering any failures with the light engine including parts and labor. Lumencor Light Engines - The SOLA-SE II light engine™ is a high performance illumination source that’s a bright, mercury-free, solid state lamp as an alternative the traditional mercury-containing arc lamps: the SOLA SE II light engine. All SOLA light engine models produce continuous white light from 380 to 680 nm. They are suitable for imaging all the most common fluorophores and fluorescent proteins. The SOLA SE II model is designed to operate via computer control or from a bluetooth tablet or with the aid of a foot pedal. Both SOLAs offer unprecedented access to solid state illumination at a price comparable to most metal halide light sources used in a host of life science equipment including fluorescence microscopes. While SOLA is very simple to operate, be assured it is also very powerful. Expect several watts of visible light pumped through the light guide, giving ample intensity for even the most demanding microscope applications. Lumencor preserves performance with the SOLAs relative to the SPECTRA light engine predecessors in the form of powerful, cool, stable, robust, UV- and IR-free light. The SOLA light engine enables microscopists simple integration with existing filter cubes and hardware configurations. Power exceeds most spectral bands of the arc lamps. Cost of ownership is reduced relative to lamps because of long life time, no bulb or light guide replacements and energy efficient operation. The output spectral range is targeted for the VISIBLE spectrum, no deeper UV or IR is produced. Customers will never again have to worry about arc lamp alignment, installation and replacement. The expected lifetime of the SOLA light engines is greater than 20,000 hours. Essentially no warm-up time and superior stability mean these are all usable hours with highly reproducible output power. Units ship with a warranty covering any failures with the light engine including parts and labor. The SOLA SE II can be integrated with high end cameras. In so doing, it may be operated with light “on” only during camera exposure time. This prolongs sample life and minimizes photobleaching during sample illumination. Lumencor Light Engines - The SOLA light engine™ from Lumencor offers a true arc lamp replacement with the release of the SOLA Light Engine. The SOLA produces continuous white light from 380 to 680 nm and is suitable for imaging all the most common fluorophores and fluorescent proteins. SOLA offers the end user an affordable solid state alternative as an arc lamp replacement. The SOLA light engine can be controlled by every microscopy software in the marketplace. It offers unprecedented access to solid state illumination at a price comparable to most metal halide light sources used in a host of life science equipment including fluorescence microscopes. Lumencor preserves performance in the form of powerful, cool, stable, robust, UV- and IR-free light and now allows the user simple integration with existing filter cubes and hardware configurations. This additional flexibility allows individual users, core facilities and OEMs a superior solid state excitation subsystem. Power exceeds most spectral bands of the arc lamps while cost and wavelength range are on par with traditional arc lamps. The Microscopist will never again have to worry about arc lamp alignment, installation and replacement, you can just focus on the sample! The expected lifetime of the SOLA is greater than 20,000 hours. Short warm-up time and superior stability mean these are all usable hours with highly reproducible output power. Units ship with a three year warranty covering any failures with the light engine including parts and labor. The SOLA can be integrated with high end cameras. In so doing, they enable light blanking during frame readout. This prolongs sample life and minimizes photobleaching during sample illumination. Motic Inverted Microscopes - The AE30/31 combines CCIS optics with innovative mechanical design, provides the unrivalled versatility, ergonomics and optical excellence and brings you a new series of inverted microscopes. The CCIS optics allows new accessories and functions to be incorporated into the AE30/31 inverted microscope. The CCIS infinity design has succeeded in achieving longer working distance objectives with higher numerical apertures. This represents a significant development in optical performance and versatility. The design of the AE30/31 inverted microscopes optimally integrates all functions enabling effective ergonomics and maximum expandability. The AE30/31 has been designed to meet the needs of demanding users. The size of the microscope is compact to minimize the footprint and conserve limited desk space available in modern laboratories. The ergonomic design has made AE30/31 compatible with the manner in which you work. The coaxial coarse/fine focusing knobs, controls for the attachable mechanical stage and light intensity, are placed conveniently at your fingertips to minimize user fatigue. The ideally positioned focus knobs and stage controls make their manipulation stress free. provides bright, even illumination at any magnification. The "only one in its class" centerable lamp is housed externally and has an externally operated mechanism for control of all facets of illumination. 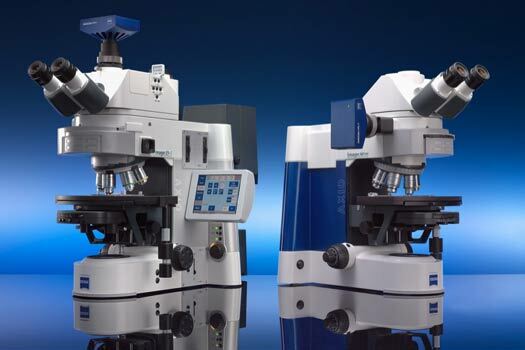 Motic Inverted Microscopes - The NEW AE2000 is a stunning revolutionary design packed with features, setting new benchmarks in affordable inverted microscopy. Motic’s new AE2000 Inverted Microscope is designed for routine live cell inspection with an easy and flexible set up, ideal for University, routine-clinical, and lab environments. The model’s main applications offer superior image quality when viewing cell cultures in microbiology, living organisms and tissue culture samples. The newly designed Binocular Ergo tubes with 360° swiveling “butterfly” design and optional telescopic feature offers the most comfortable observation position, especially useful for prolonged sample viewing. The auto on/off function of the power supply extends the lifespan of the sample and light bulb and at the same time saves energy. Another added feature, a modular interchangeable illumination concept, allows for the easy transition from Halogen to LED to fulfill a wide-range of customer viewing expectations. The improved phase contrast quality of the model makes the instrument suitable for a greater range of applications that demand precision optics. The entire microscope including optical system is manufactured now completely Lead Free, following the International RoHS regulations. Old School Industries - The Boom Stand full catalog from Old School Industries provides a wide variety of microscope stands for every application. From Economy stands which are small, compact stands. Ideal for reflected light applications where the samples (specimens) are small. These stands allow mounting of a riser bracket to hold an X/Y stage. Standard and Heavy weight base stands represent the most common stereomicroscope stands. Workstation stands are the perfect stand where stability, work surface are combined into one assembly. Floor Base stands offer moveable, stable platforms for mounting microscopes. The cross blocks of all stands have bronze bushings cast into them to provide a lubricious surface upon which the vertical and horizontal shafts slide. The vertical posts are made of solid stainless steel. All stands include Old School's Quick Release Safety Clamp. New to their lineup are transmitted light bases for stereomicroscopes. Featuring an ergonomically positioned tilting mirror control on front of base, adjustable front/back placement of the mirror, A 3:1 gear reduction allowing for precise positioning of the mirror angle with a click stop at the 45° position, 25 mm diameter filter holder which is easily accessible from outside of the stand, focusing condensing lens system, allows adjusting of illumination spot size from 12.5mm to 50mm diameter with illumination focusing controls conveniently located low 8" x 9" specimen platform with 98mm glass insert and user adjustable throat depth. Prior Scientific Corporation - The ProScan® II system is ideally suited for the most demanding imaging applications where high precision and accuracy are essential. A ProScan® II Motorized Stage System consists of: a ProScan® II controller (or optional Prior PCI High Speed Controller), a compatible motorized stage from the ProScan® II Motorized Stage line and a range of accessories such as filter wheels, shutters, joysticks, focus control, touchscreen keypads, z scale probes and specimen holders to further enhance your system. The ProScan® II System is compatible with most third party imaging software products and is easily integrated with existing systems. IDEAL APPLICATIONS for the ProScan® II System include: Image tiling, time lapse studies, precision scanning, industrial and semiconductor inspection, high throughput screening applications, 3d imaging, deconvolution, and fluorescent image data acquisition techniques such as FRET, FRAP, TIRF, etc. Pyser-SGI - FULL LINE CATALOG STAGE MICROMETERS - Pyser-SGI is a specialist independent British manufacturer and supplier of precision optical and electro-optical equipment and optical components. For over 60 years Pyser-SGI have been manufacturing precision micropattern products at our UK facility. Where customers have the need for traceability of their calibration, Pyser-SGI offer Certificates of Calibration, traceable to International standards, and re-calibrations of customers' own products. The Product Range consists of: S-RANGE of Stage Micrometers and grid images for general microscope calibrations, PS-RANGE of calibration scales and multi-images for traceable calibration along with PS multi-image calibration slide and PS-range of long scales for CMM’s (50mm to 1000mm), HSE/NPL test slide for phase-contrast, asbestos analysis microscopes. S-SERIES DESCRIPTION: The scale or grid is chrome deposited centrally on a glass disc mounted in a black anodised aluminium slide mount 76mm x 25mm x 1.5mm thick. The metal mount gives these stage micrometers greater durability than those of all glass construction. These products are supplied in a plastic case with foam insert. Available in transmitted and reflected (incident) light versions. This range of stage micrometers do not have unique serial numbers, so technically are not traceable. Many quality inspectors require any calibration tools to have unequivocal traceability, for this we have our PS range of calibration scales. PS SERIES DESCRIPTION: The scale is chrome deposited centrally on a glass disc mounted in a stainless steel slide mount, 76mm x 25mm x 1.5mm thick, with unique serial number engraved in the top surface. These are the products of choice where you need certified scales to have unequivocal traceability for ISO, NIST, DIN or other standards. These products are supplied in a polished wooden case to indicate that they are superior calibration tools. Available in transmitted and reflected (incident) light versions. Qioptiq - The OptiGrid(SIM) system OptiGrid Structured Illumination Microscopy (SIM) integrates with a variety of popular brand conventional microscopes to afford benchtop access to confocal-quality imaging right from the convenience of your own lab. OptiGrid yields ultra-rich, multichannel fluorescence and real-time 3D/4D imaging, all while utilizing much of your existing instrumentation and software. Now with automated grid focus, the NEW OptiGrid Structured-Illumination Microscopy system delivers imaging throughput and productivity like never before. Once sharp focus of the specimen has been established, OptiGrid can image across multiple wavelengths (well into Deep UV), without stopping to manually refocus the grid. This improved slider design assures shorter imaging time, greater experiment repeatability across multiple specimens, and ultimately increased imaging throughput. Simply connect OptiGrid to your computer via a USB2.0 port, insert the grid slider into the standard illuminator of your compatible upright or inverted widefield microscope, and control OptiGrid through the growing list of supporting software suites. With a multitude of compatible widefield micropscopes, OptiGrid delivers confocal-quality imaging to your benchtop. Whatsmore, with its non invasive design, simply remove the grid slider from the microscope field diaphragm slot and restore the full conventional functionality of your microscope for day-to-day imaging needs. OptiGrid delivers virtually universal fluorochrome imaging capability. Please contact AIC for compatibility with existing equipment. Schott-Fostec - The KL1500 LCD is the performance leader in the field of 150-watt halogen cold light sources. With its outstanding modern design combined with optimized, homogeneous light output and variable light control options, this light source has been designed for applications in Stereo Microscopy and Macroscopy in laboratory, industrial and medical applications. See the System Diagram for the many accessories available. The KL 1500 LCD is available in 120- and 230-volt versions. The KL 1500 LCD has been approved and certified as laboratory and electromedical device by VDE (230 volt version) and CSA (C/US) (120 volt version). The 230 volt version carries the CE conformity label. The Full Line Catalog describes all accessories for you Fiber Light Source. Schott-Fostec - The KL2500 LCD with its new design and unique performance spectrum, the KL 2500 LCD is setting a new benchmark in the field of halogen cold light sources. Fitted with a 250-watt cold light reflector lamp, the KL 2500 LCD transmits more than twice the amount of the light of the KL 1500 LCD. This unparalleled performance makes the KL 2500 LCD the instrument of choice for the most challenging applications in Stereo Microscopy, Macroscopy and Forensics. See the System Diagram for the many accessories available. The KL 2500 LCD is equipped with a 5-position filter wheel, which makes filter selection quick and easy. Color filters and special GFP-fluorescence excitation filters are also available. Electronic accessories such as remote control or tilt switch can be connected to the analog socket in the front panel, enabling remote light source operation or connection of an RS-232 Interface. The Full Line Catalog describes all accessories for you Fiber Light Source. Syncroscopy - AUTO-MONTAGE Auto-Montage software provides the ultimate solution to microscopist's who need fully focused images from their optical microscope. The software is designed to overcome the problems traditionally associated with the inadequate depth of field for imaging 3-dimensional specimens, by allowing a composite, perfectly focused image to be produced. This is achieved by combining the focused parts from a series of images focused at different heights on the specimen to form an in-focus composite. Auto-Montage can be used with your existing images or image capture system. These source images can be imported into Auto-Montage, where they are automatically analyzed and all high detail regions are combined into a single, perfectly focused, image. Typical users for Auto-Montage include entomologists, botanists, material scientists, geologists and anyone who works with 3-dimensional samples. In fact there isn't really a typical user. With Auto-Montage's unique and diverse range of montaging methods and its unrivalled suite of processing, editing, measurement, data management and 3D visualization tools no other package comes close to matching Auto-Montage's functionality, flexibility, effectiveness and efficiency. A wealth of valuable 3D measurement data is created during the image capture process, allowing you to generate height coded images and publish dramatic 3D views of your samples. Till Photonics - The POLYCHROME 5000 is the fifth generation of their successful monochromator based light sources with increased wavelength switching speed and unsurpassed brightness. Suitable light sources constitute the heart of all fluorescence systems. TILL Photonics offers a complete line of light sources which excel through their unsurpassed brightness and ease of coupling to all major microscopes. All units can be used in a stand-alone configuration but may also serve as core components for a fully integrated imaging or photometry system. The Polychromes have always been the reference for microscope illumination devices since the release of the Original Polychrome in 1993. The culmination of 10 years of experience with illuminating experiments has been condensed into a highly compact package, the Polychrome 5000 is brighter, faster, more intelligent, more stable, easily adjustable, more versaTILL Whether you do ratio imaging with rapid wavelength switching, GFP-imaging with a variety of fluorophores to be distinguished, FRET with the faintest signals to be detected, Photometry with very high time resolution, or TIRF with a combination of wide- and evanescent field, the Polychrome 5000, with its optimized condensers for all major microscopes. VisTek - The V2500 Series Vibration Isolation Table is designed for your needs. Vistek manufactures exceptionally rigid, elegant, lightweight tables designed for the microscope user. Vibration isolation is provided only where you need it - - recessed within the table and directly beneath the microscope. With the addition of the new Series 320 Vibration Isolation Bearings, a wider range of payloads can be isolated making it easier to add and remove microscope accessories. And, as always, the isolation is only where you need it - - beneath the instrument. Users can select from three locations for this area on the left-hand side, right-hand side, or in the center Consequently, the rest of the table is available as a work area. The microscope or other piece of equipment is isolated with Vistek Vibration Isolation Bearings (VIBs). The VIBs support a platform, upon which your instrument sits, manufactured from powder-coated steel and the same material used for the tabletop surface providing for a clean consistent appearance. Since the isolation bearings are passive, mechanical, and maintenance free, there are no air hoses, supporting hardware, or off-gassing components. The table is available in a large selection of sizes ranging from 30" wide to 72" wide. X-Light - X-LightV1 spinning disk confocal microscope is a cost-effective solution for adding confocal capabilities to nearly any microscope. With a motorized bypass mode, it can be added to a microscope without interfering with other imaging modalities. The X-Light can be configured to work with both EMCCDs and sCMOS cameras as well as LED and laser-based excitation sources. The X-LightV1 comes standard with a 3-position motorized dichroic wheel and a manual 4-position emission filter wheel. These features simplify support of multiple experimental protocols. A standard 15,000 RPM disk wheel eliminates disk artifacts that may be present in other systems. An easily integrated, cost effective confocal imager that is compatible with both EMCCDs and sCMOS cameras, provides Excellent image quality, and is compatible with all inverted and upright microscopes with 100% video port. Features 20,000 rpm optional disk with two Acquisition modes Widefield – disk out via motorized disk bypass mode and Confocal – disk in. Two sizes of camera sensor is supported -- Double pattern disk – up to 12 mm x 12 mm FOV, and Single pattern disk – up to 22 mm diagonal. In addition there are two Disk pinhole size options -- Double pattern disk – 40 micron and 70 micron and Single pattern disk – 60 micron. Choice of two Dichroic wheels -- Motorized 3-position standard or motorized 5-position with choice of two Emission filter wheels -- Manual 4-position wheel standard or automated 8-position wheel optional. Combatible with both LEDs and laser sources add to any existing microscope without the need for a dedicated microscope confocal. and Single pattern disk – up to 22 mm diagonal with two Disk pinhole size options -- Double pattern disk – 40 micron and 70 micron and Single pattern disk – 60 micron. For Super Resolution mode the VCS pinhole mask sizes have 2 patterns per mask: 1.15 micron pinholes with 150 micron and 90 micron spacings and 2.20 micron with 120 micron and 200 micron spacings. the Lateral resolution is down to 115 microns, depending on pixel size, pinhole mask used, algorithm choses and number of images. The User does not need a dedicated microscope confocal - can be added to any existing microscope with Easy to use disk focus mechanism which ensures the disk is at the proper image plane. The Optional Video Confocal Super resolution enables super-resolution imaging as mentioned above. Most economical product for Live cell confocal imaging, Simultaneous multichannel imaging (with optional emission splitting systems), Super resolution imaging with optional VCS add on, and 3D optical sectioning. Yokogawa - CSU10 provides for Fast scanning, high optical efficiency and high S/N. The confocal scanning method of the CSU family of confocal microscopes is based on the Nipkow disk scanner; an optical scanner using rotation of a disk with pinholes to produce an image. While a Nipkow scanner is good at fast scanning, its optical efficiency is too low to capture weak fluorescent images. By placing a microlens array in front of the Nipkow disk, the CSU family of confocals greatly improves the optical efficiency by about two orders. In addition, the design of the CSU family of confocals minimizes the background inside the system thus realizing a very high S/N. The CSU10 has two disks; one with about 20,000 microlenses, the other with pin-holes arranged in the same pattern as the microlenses. Light incident on the upper disk is focused by the microlenses on the corresponding pinholes. The two disks rotate together at 1,800 rpm by an electrical motor so that the light beams raster-scan the specimen. The light passing through the pinhole is focused by an objective lens on a spot in the specimen. Fluorescent light from the specimen returns along the same path through the objective lens and the pinhole, and reflected by the dichroic mirror through a relay lens to the imaging point in a camera or eye. The pinhole pattern is designed to capture 12 frames per rotation, which means 360 frames per second of confocal images can be captured with CSU10. Using the CSU10 is as easy as using a regular microscope. You can mount the CSU10 on the majority of research grade microscopes from Zeiss, Leica, Nikon, and Olympus. Please contact AIC for further details on the compatibility of your specific model. CLICK HERE for further information on how the CSU10 works and CLICK HERE for a comparison sheet on all their models. Yokogawa - CSU22 provides for Fast scanning, high optical efficiency and high S/N. The direction of today's life science research is the observation of various life processes in living samples in real time with a high degree of sensitivity and resolution, and minimal photo bleaching and photo toxicity. Based on its innovative microlens-enhanced Nipkow disk scanning technology, Yokogawa CSU units are being used worldwide as the most powerful tool for live cell imaging. Different from conventional confocal systems, the CSU series uses CCD cameras to capture confocal images. Taking advantage of the rapid advance in CCD camera capability, it is now possible to acquire high-resolution images at very high speed compared to conventional systems. Especially, significantly reduced photo bleaching and photo toxicity with the CSU series makes it possible to image delicate changes in living cells, such as cell division or embryonic differentiation at length. While high-speed scanning up to 1,000 frames/sec makes it possible to record reactions at the milliseconds level and with 3D reconstruction data of living cells acquired with ease from stacks of sharp confocal images captured by a high-resolution CCD camera. Also, in synchronization with fast objective lens movement using piezo-actuator and a high-speed camera, the CSU22 enables you to perform high-speed 3D scanning of 30 or more cross-sectional images per second. The CSU22 can generate real color confocal images and thus can utilize a highly sensitive 3CCD color camera, which enables simultaneous multi-wavelength imaging at video rates. Combining the CSU22 with a high-sensitivity high-resolution 3CCD color camera makes simultaneous multicolor observation without the need for filter replacement a reality. The reduced fluorescence photo bleaching and high-speed imaging with CSU22 is best for confocal FRET observation in real time! Using the CSU22 is as easy as using a regular microscope. You can mount the CSU22 on the majority of research grade microscopes from Zeiss, Leica, Nikon, and Olympus. Please contact AIC for further details on the compatibility of your specific model. CLICK HERE for further information on how the CSU22 works and CLICK HERE for a comparison sheet on all their models.